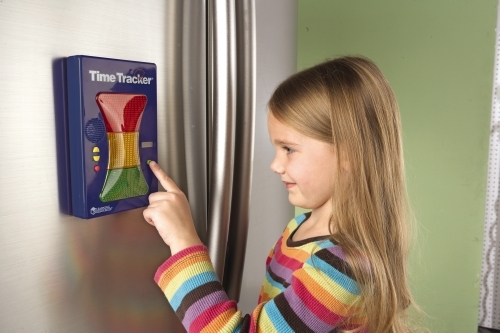 Innovative tracker that adheres to any magnetic surface! Adheres to any magnetic surface and features clear, three-colour lighted display and simple-to-program alarms (from one minute to 24 hours). Alarms can be visual, audio or both. Handy flip-out stand for tabletop use. Measures 178mm L x 38mm W x 127mm H. Requires 4 AA batteries (not included) and 3 button-cell batteries (included).